Amsterdam. As summer sizzles in, and the warm breeze has just settled upon your sweat drizzled body, Amsterdam Pride festivities are about to turn up the heat this year with one mega unprecedented event. 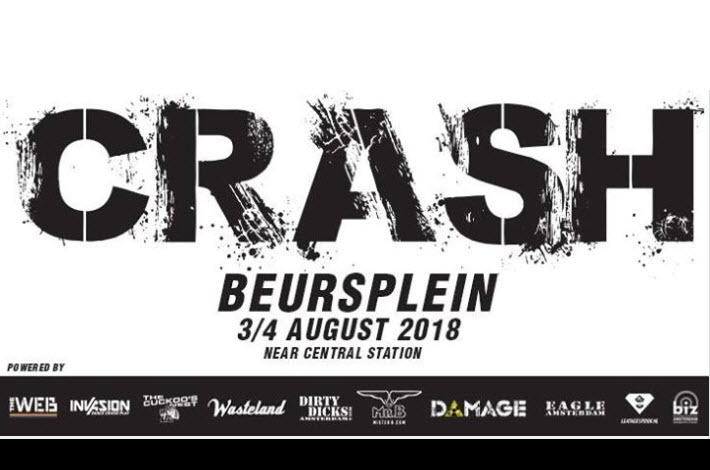 It will be a FREE outdoor stage at Beursplein, on Friday and Saturday and we will represent the Dutch Gay Leather community during Pride. Pride, in all its glitz and glory is about celebrating diversity, and what better way to cherish and preserve the ethnic and cultural diversity that nourishes and strengthens our community by being inclusive to one and all. With an amazing line-up: Friday: Ben Manson (FR) & William Sizen Bell (UK). 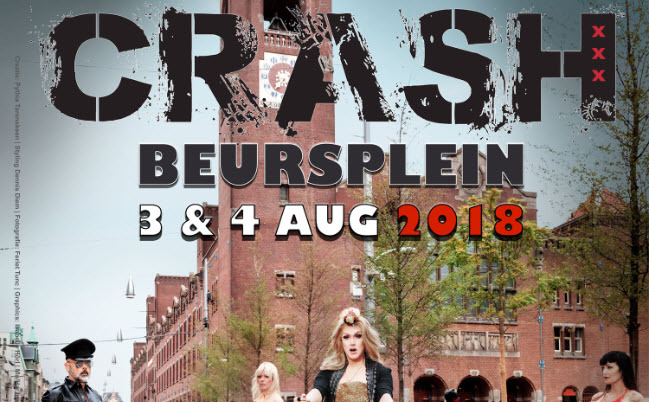 CRASH at 3 and 4 August on Beursplein Amsterdam during Pride Amsterdam . Beursplein Amsterdam is nearby Central station and nearby Damplein (main stage of Pride Amsterdam) . This event is supported by many gaypartners.